King – Kings Cup: pour some of your drink in to the cup in the middle. The last person to pull a king has to drink the entire cup. 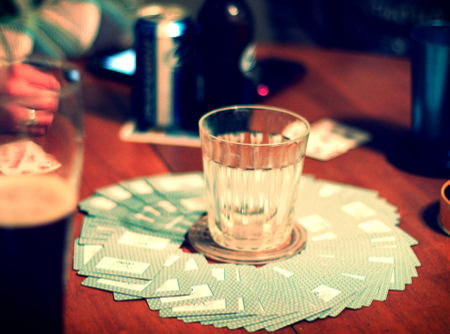 Ace – Waterfall: everyone starts drinking at the same time and stops one at a time, starting with the person who picked the ace. This game is so fun. If you’re playing with a lot of people, add another deck! I love this game too! No one wants to play it anymore..